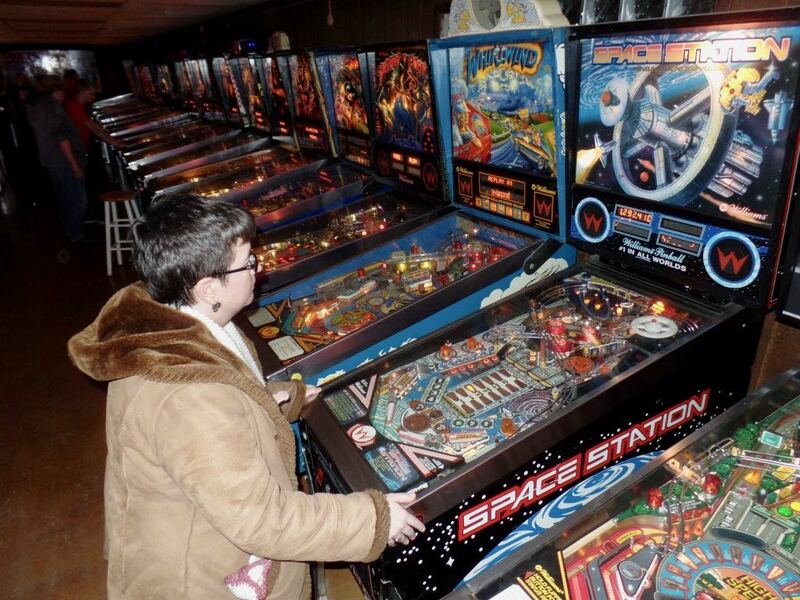 One Black Friday tradition we've gotten into is the VFW Ann Arbor Pinball Hall of Fame (it's got a bit much of a name) having an open evening. This is done as a charity event, collecting things for Toys for Tots. We realized on Thanksgiving that we hadn't actually gotten any toys for any tot. bunny_hugger was scheduled to work that afternoon at the bookstore she uses as a Christmas and summer sideline. So it was up to me, after my car got its tire fixed and its headlight lighted, to get some toys. I did this at Michael's, because we usually pick up some art supplies. This is because bunny_hugger has heard Toys for Tots always has trouble finding gifts for older kids, and art supplies are the sort of thing that you can give to any age. And that, really, older creative poor kids need the more. Michael's was selling, as it often does, a supply of a great number of cheap art tools, pencils and colored pencils and watercolor inks and tiny mannequin figures and whatnot. Get that, plus some sketchbooks (so the gift can be complete and the kid doesn't have to supply anything more) and we're set. And apparently we're building a reputation, even though there've only been a couple such charity events at the VFW. We brought the kits in and the fellow checking our tickets said, oh yes, knew we'd be bringing the art supplies. Well, I stand by the idea that it's worth giving stuff to draw with. 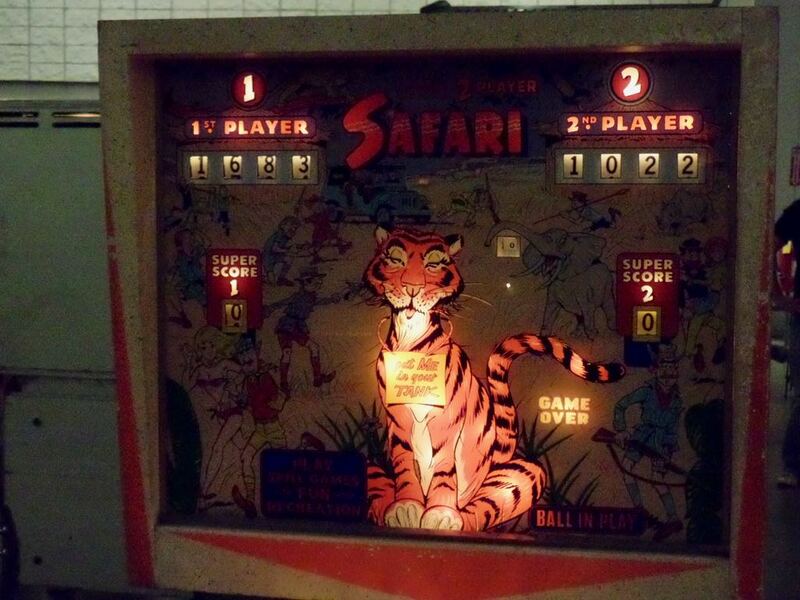 This, though, gave us four hours in an incredibly rich pinball site. 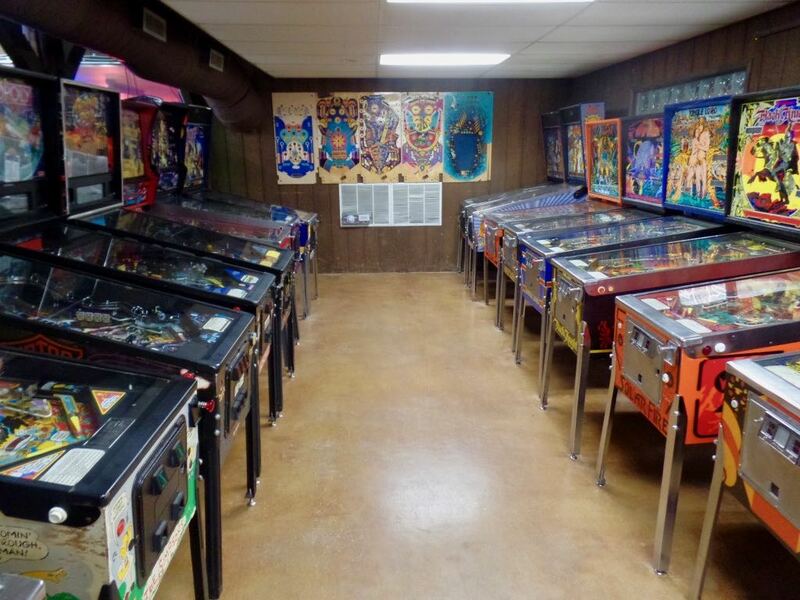 The VFW has hundreds of games, from woodrail games of the 1950s through to the most recent games. Among the first things played, of course: FunHouse . bunny_hugger had a weak first game. I joined her for a second, though. This saw a couple discoveries. One was that Rudy's head was not registering quite like it should. That's a common problem; Rudy's head is always causing problems. This was a slightly new one. If you shoot the ball into Rudy's mouth it should register and all sorts of exciting stuff will start. We couldn't get it to register, though, not right away. This threw off our games, although I adapted to the sad reality of the situation faster. Not better, though. 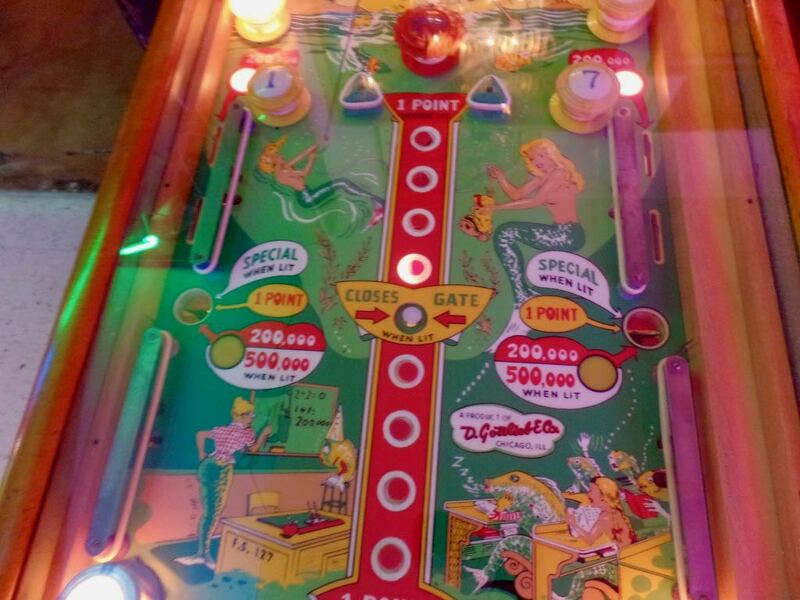 bunny_hugger got the hang of the table's peculiarities by the third ball, and she kept it going, bringing herself ultimately to more than 20 million points. That's a great game by any measure and one of her best on a real-life FunHouse table. I was also having a great game, but was interrupted when the ball took a weird bounce and got stuck between two ramps. I was able to get it loose by lifting the table, so it rocked out of place, but this caused me to tilt and cost me about a half-million points in bonus. Also whatever the rest of the ball might have been. bunny_hugger mourned that if I hadn't tilted my ball I'd have beaten her score. Well, not as of when I tilted; I didn't have enough bonus for that. She had me beat by about a million and a half points. This put her onto the high score table, in #2 --- beating the score she was angry I'd set back in September --- and I got in in #4. She and I have three of the four high score positions now, at least temporarily, and it's always a great feeling to have both players in a game set a high score. And, yes, she was still upset that she drained when she had a Frenzy started, and got it extended, but then lost the ball with 17 seconds left in the extended Frenzy. We would have fun the rest of the night. Nothing that got us on a high score table, no. But some games we'd wanted to see, the Who Dunnit? and The Champion Pub . Then some games we knew but hadn't played in a while, like Orbitor 1 or the 1980s Iron Maiden . 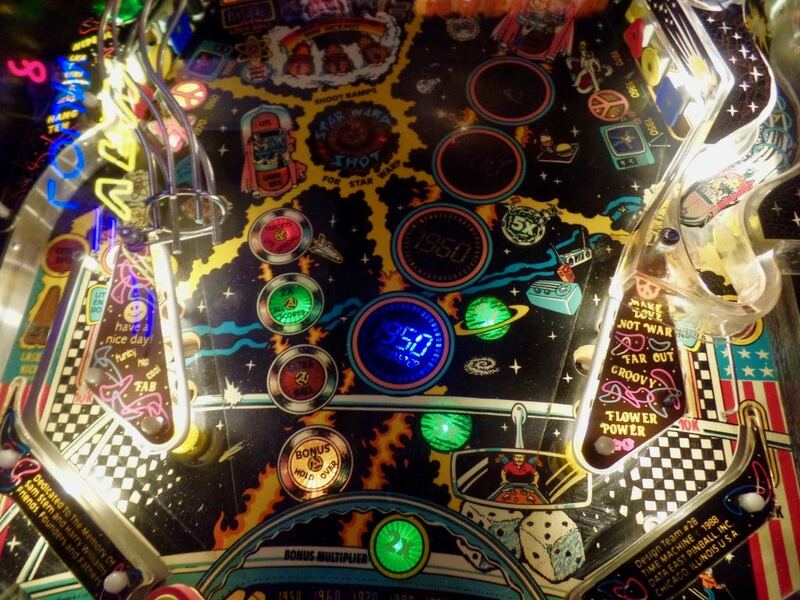 The 1980s Iron Maiden is some Sorayama-art-based table, but it comes from the old Stern Pinball Company. 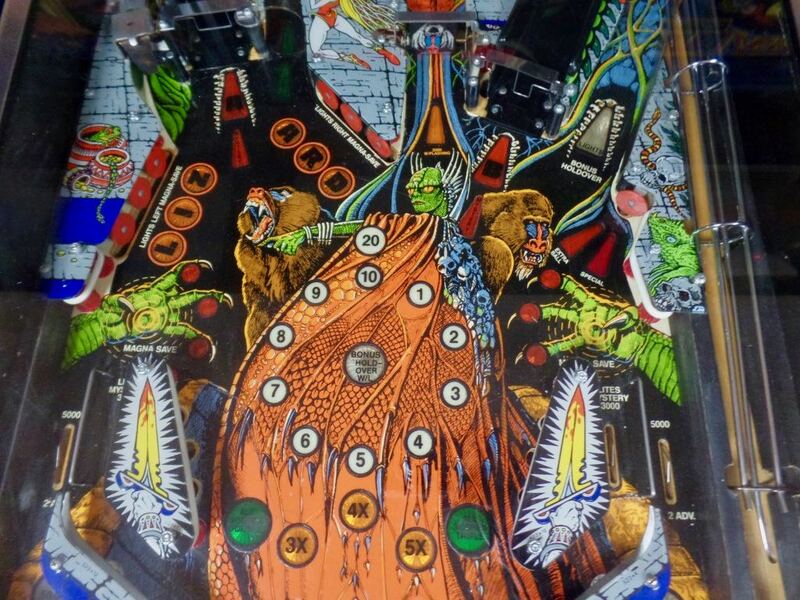 The new Stern Pinball has an Iron Maiden table that's based on the band, and we got to wondering if there are any other pinball names used repeatedly by the same company. We did find there's both a Bally and a Williams Joust , both at the VFW, but couldn't think of another. There are probably a bunch of card- and sports-themed games with repeated names, goodness knows from when. We also played some of the Old Stern table Seawitch . This has suddenly got interesting because New Stern is, this coming month, releasing a Beatles-themed table. That table's got nearly the same layout as Seawitch . Probably the Beatles table will play differently. But, hey, any experience will help, right? Also we had some fun, along with MWS, trying to play the Bally-Williams game Truck Stop . It's a late 80s game of obscure rules, with an instruction card that refers to stuff not clearly marked on the playfield. But we did our best, falling back on some general principles, like, do sets of targets and sets of ramps and such. And we think we got close to the jackpot? Maybe? The game's a bit curious. Well, we didn't have a long enough time there, but we probably weren't going to under any circumstance. It was a great bit for the early Thanksgiving season. Trivia: France adopted the Gregorian Calendar in 1582 by dropping the 10th through the 19th of December. Source: Mapping Time: The Calendar and its History, EG Richards. PS: My 2018 Mathematics A To Z: Tiling, something about a subject so beautiful I really should have got a picture or something. 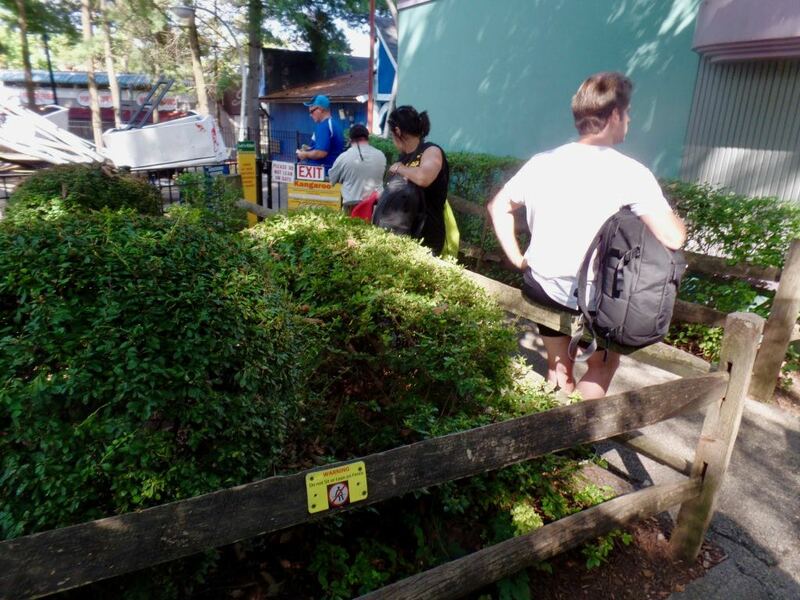 PPS: Kennywood! Yes, I have like eight billion pictures of Kennywood but that's because it is Kennywood. 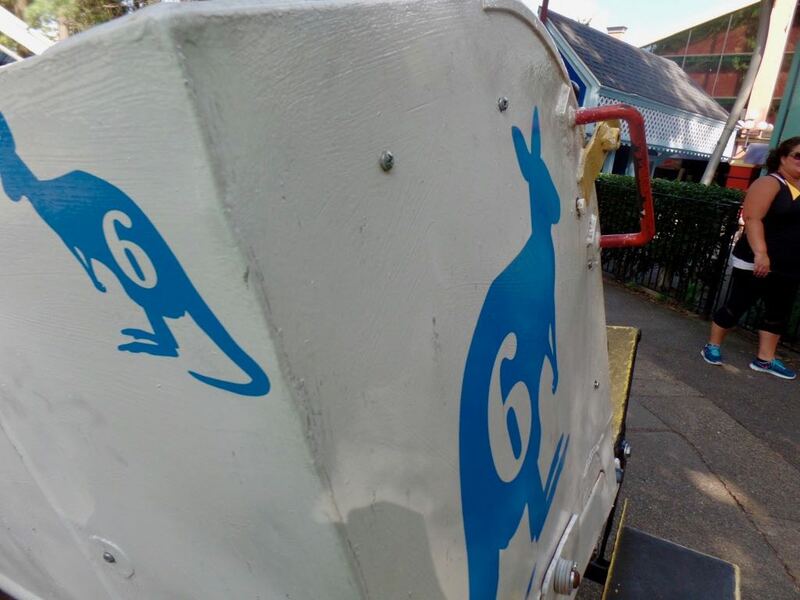 Close-up on the Kangaroo's cars, showing off the silhouette art of the venerable ride. So the great thing about humanity is how we're clearly not doomed. Original of the picture I used earlier this week on my humor blog. 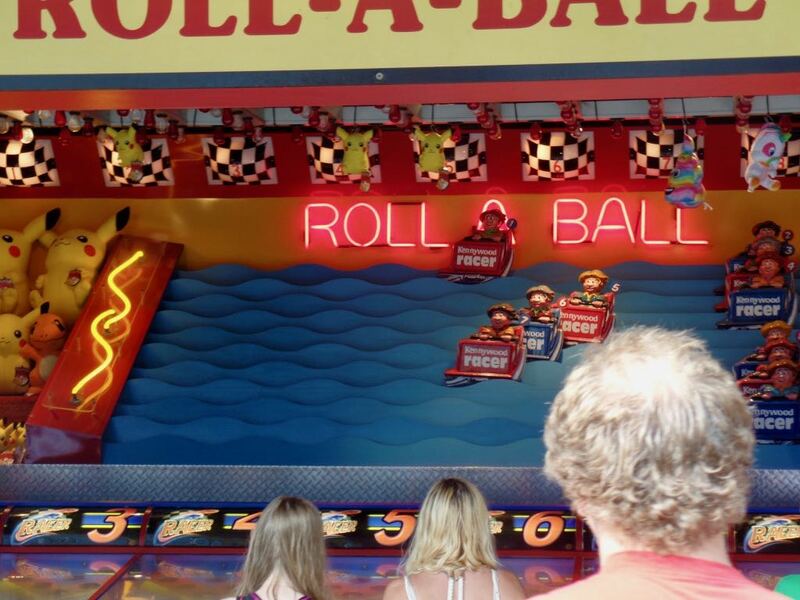 Roll-a-ball game that's gotten a theme of the Racer. The cars there have the logo and two of the (three) train colors.